The World Premiere of Alma Flamenca will bring you up close and personal, mesmerizing audiences with a new pure Flamenco music and dance production exploring the depth and breadth of the art form, with a range of rhythms and styles that are dramatic, soulful, joyous, sensual and passionate all at once. With the exquisite music, exhilarating footwork, and the elegant grace and beauty that has made Flamenco so loved by audiences throughout the world. 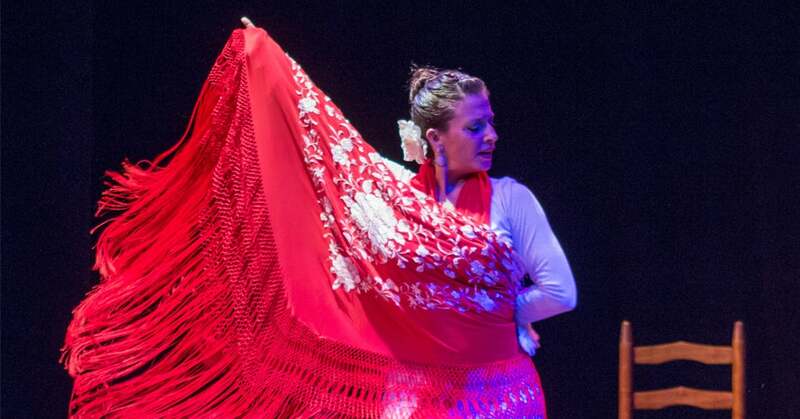 Ballet Flamenco La Rosa's company’s mission is to present authentic Flamenco dance with live music in a theatrical setting, expanding the art form beyond traditional limits to appeal to broad-based audiences. A non-profit organization, Ballet Flamenco La Rosa is known for its high artistic level, stellar Guest Artists and dedication to nurturing and perpetuating the rich art of Flamenco, delighting standing room only audiences for over three decades.